I got to know All about Eve thanks to a TV special on a satellite channel. On that occasion I saw short clips of 'Every angel', 'Martha's harbour' and 'Flowers in our hair'. I hadn't had much of a chance to find out more about them, but within weeks I spotted this 12" single in a discount record store. A once in a lifetime chance, as I found out later. At least, this 12" single became quite expensive in later years, although the price seems to have dropped in recent years. Besides an extended version of the title track, this disc features a cover version of the Cliff Richard track 'Devil woman'. Cliff Richard? Well it's hard to imagine him singing this lyric I have to say, but he did. Collectors items can be very frustrating to a collector, as sometimes you think you may never get hold of them. When I became interested in the band All about Eve, I quickly became aware of their early 'indie' releases. 'Our summer' was released in 1987 as the band's third indie release on 12", and it was one of those frustrating items for me for years. I finally found a copy during a visit to one of those record exchanges in London, and the price had dropped to an almost acceptable level. I'm still very happy to have found this disc. 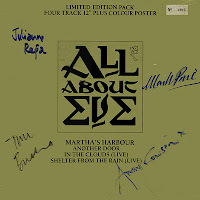 All about Eve have really had only one big hit; the immortal 'Martha's harbour'. The single reached number 10 and it was their only single to reach the top 10 in the UK. It was an astonishing success, since at the time, inane house music and assembly line pop from the Stock/Aitken/Waterman stable was dominating the charts. This 12" single in a box was one of the many formats available at the time. It featured a large poster, signatures of all four band members and two exclusive live tracks on the B-side. It was a numbered limited edition; I have number 4943. 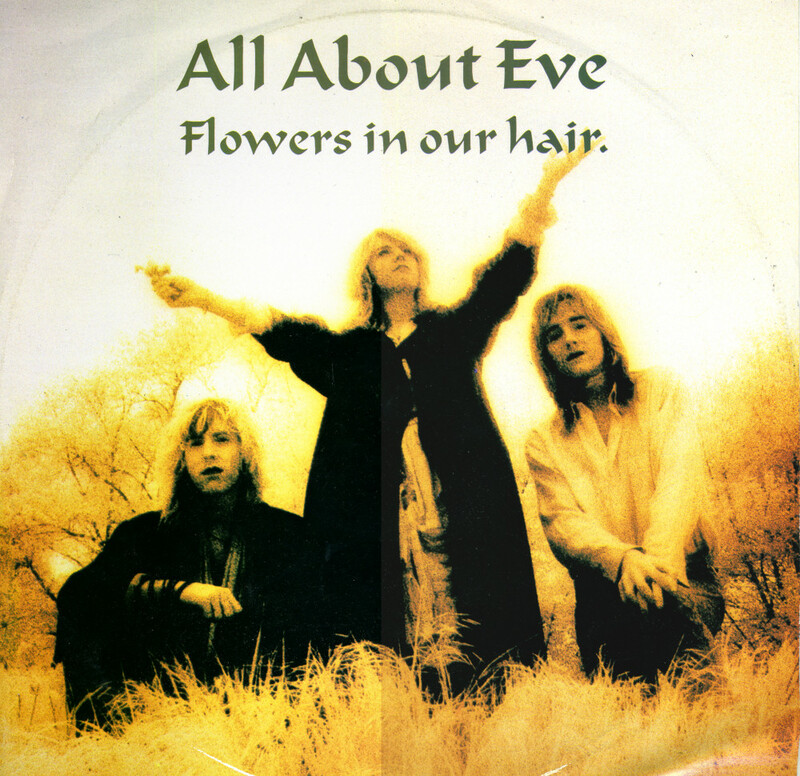 All about Eve were in the business of creating beautiful songs, but they were also smart enough to saturate the market with many different versions of their singles. 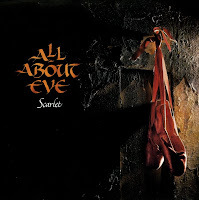 In 1990, they released 'Scarlet' as the third single from their second album 'Scarlet and other stories' on 7", 12" and two different cd-singles. 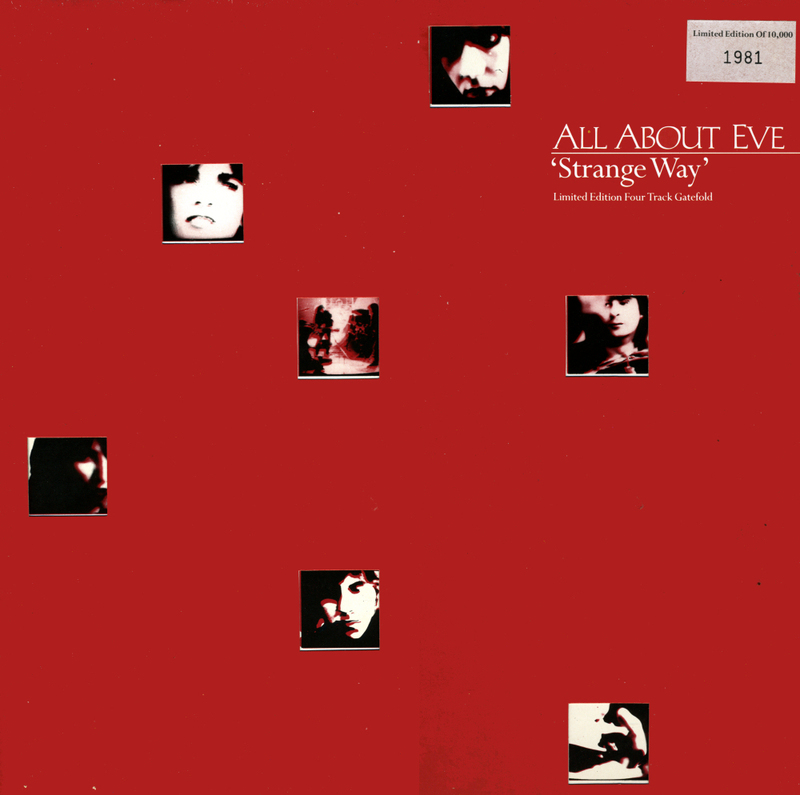 The 12" single was very special because of its gatefold sleeve, free poster and the four tracks. Three of them were included on the cd-singles as well, but the live version of 'Scarlet' could be found on this 12" single only. 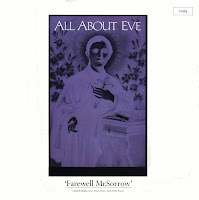 Longtime All about Eve fans were especially pleased with a live version of the early single 'Our summer'. A cracking version it is, too. Although by 1991 the chart rules in the UK had restricted the number of different formats any single could be released on in order to count for sales, All about Eve still used the maximum amount of different formats to sell their singles. 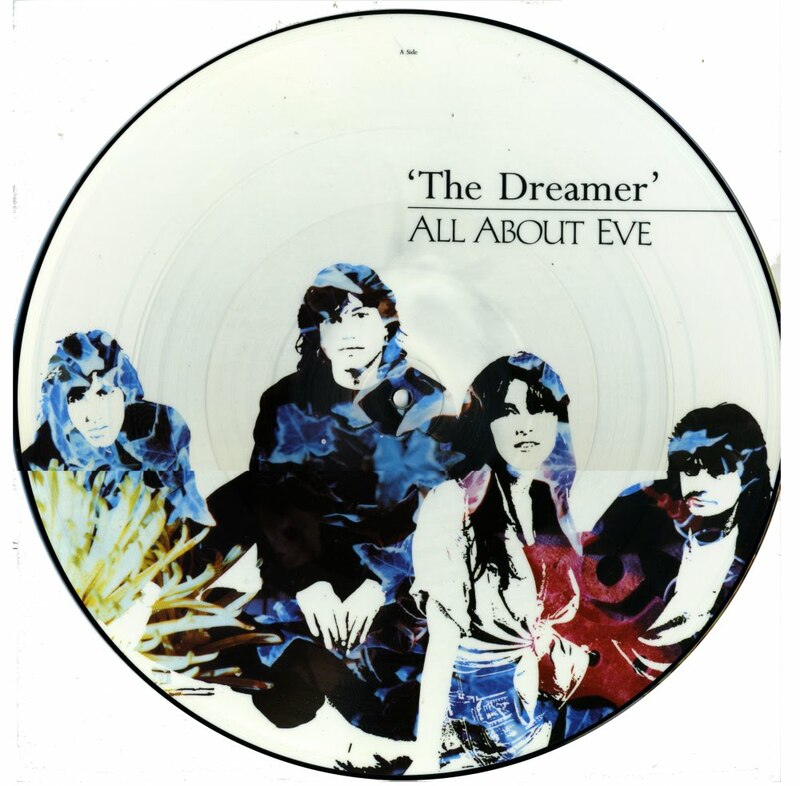 'The dreamer', the last single to be taken from the album 'Touched by Jesus', was released on 7" single, cd-single, 12" single and this picture disc 12". 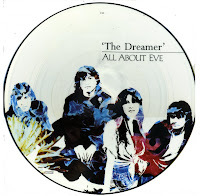 And this picture disc 12" came with one exclusive track, too: the demo version of the previous single 'Strange way'. It's an interesting version as the lyric of the song wasn't complete yet. The two instrumental B-sides, which were included on other formats too, have become classics in their own right. 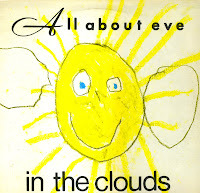 When you compare all the sleeves of All about Eve singles through the years, this one is a pretty dismal affair. It's almost a shoddy sleeve, a piece of work that could only have resulted from disinterest from the record company. 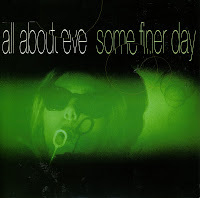 'Some finer day' was the final single by All about Eve, the second one from their album 'Ultraviolet' (1992). It reached number 57 in the UK singles chart during its one week in the chart. Soon after this, the band was dropped from their label MCA Records and the band disbanded not long after that. 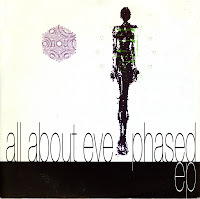 In 1992, All about Eve left their record company Phonogram and signed to MCA Records. They recorded a new album 'Ultraviolet', which was released in the autumn, with this EP preceding it. Well, it was... different. 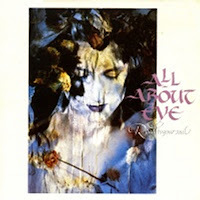 Gone was the romantic, goth-like All about Eve of the past: here was a modern, cold-sounding band, with Julianne Regan's vocals buried deep in the mix. The Phased EP was a collection of two album tracks, one instrumental version of an album track and one non-album track ('Ascent/descent'). It barely caught on, but still managed to reach number 38 in the UK singles chart during its two week chart run. 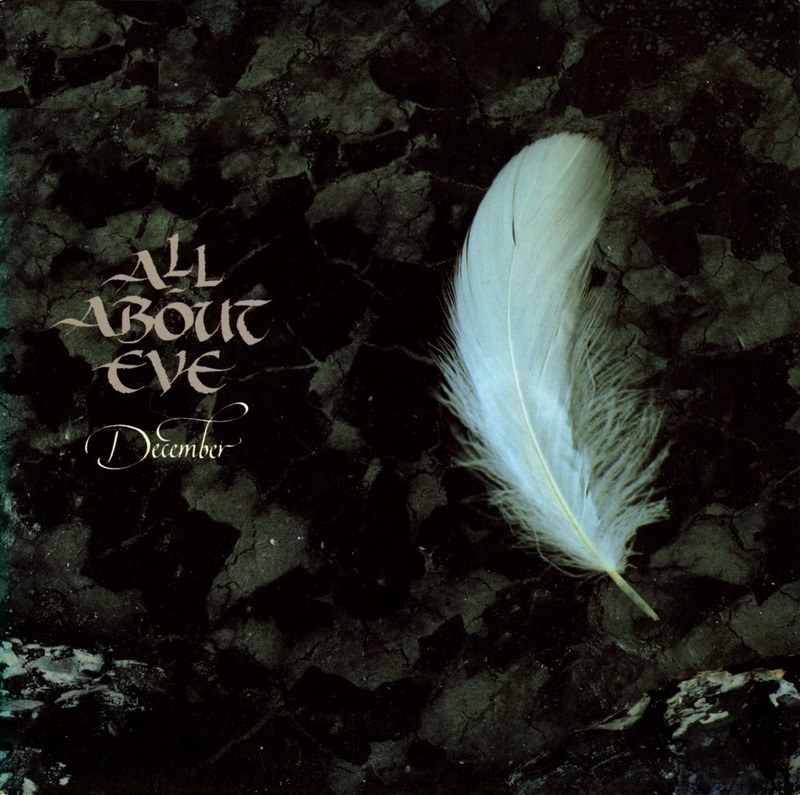 Since All about Eve was pretty much famous in the UK only, their singles became increasingly hard to find in the Netherlands. 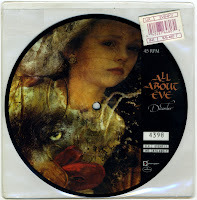 Some shops were still selling import records in 1991, but I was unlucky with this single: the shop in Rotterdam where I got my imports only got the 12" single, cd-single and picture disc 12" (which of course I bought too). 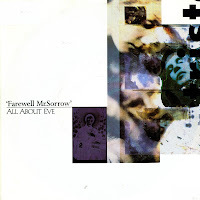 Thankfully, my friend Puck was taking an apprenticeship in Newcastle between September 1991 and January 1992, so I had the chance to ask him to pick up this single. He did, and when he returned, I finally had that single to complete my collection. Of course, the single did turn up at record fairs in the Netherlands - but that was a couple of years later! 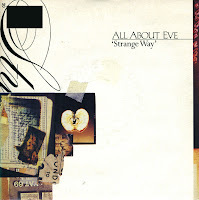 The release of 'Strange way', the second single from All about Eve's 1991 album 'Touched by Jesus' was promoted by the record company with a special promotional 7" single, featuring the full lengh track and a radio edit of the track. It wasn't a very high profile promotional disc, in a custom black sleeve and a small info sticker at the front. But since these promotional items are collectable anyway and the radio edit never surfaced on any other disc, I'm glad I got hold of this item. Unfortunately, this great single release (with a marvellous B-side!) was not rewarded by the UK audience: the single stalled at number 50 in the UK singles chart. 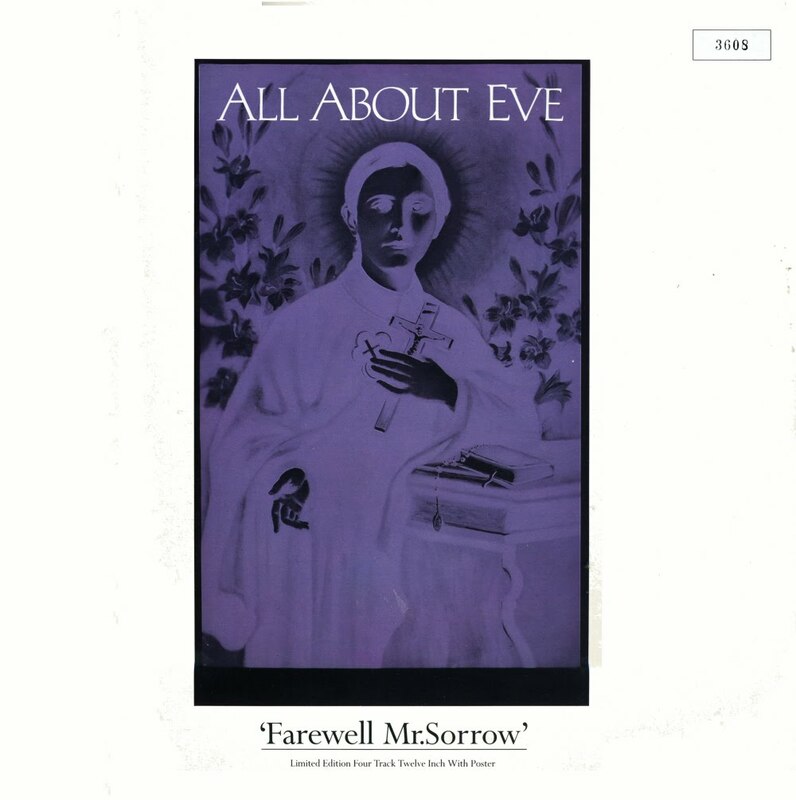 In 1990, guitarist Tim Bricheno left All about Eve to join the Sisters of Mercy. He was replaced by Marty Willson-Piper, who had worked with The Church. With this new guitarist, the band was pressured into becoming 'some sort of Fleetwood Mac', according to singer Julianne Regan. 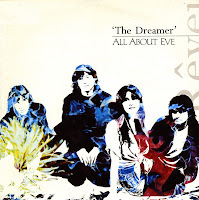 They resisted the pressure from the record company and instead made an album that was partly true to their own sound but also had definite influences from their new guitarist. 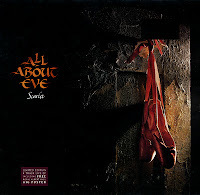 The third single from All about Eve's 1989 album 'Scarlet and other stories' was 'Scarlet'. It was released in early 1990 and backed with a live track recorded at Hammersmith Odeon, where the band celebrated the biggest commercial success of their career. 'Scarlet' equalled the chart placing of the previous single 'December' in the UK, reaching number 34 in the singles chart. 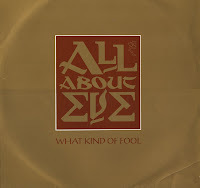 As always, the single was released in several collectable formats: the 7" single, a 12" single with a gatefold sleeve and a live poster, a cd-single and a picture disc cd-single. Sad to say, but the track 'December' was butchered for the single release. The track was probably deemed too long for a single release, so someone decided to cut out guitar solos, long intros and just about everything else. I still believe it hurt the sales of the single, which only managed to reach number 34 in the UK singles chart. As usual, the single did not chart in other territories. 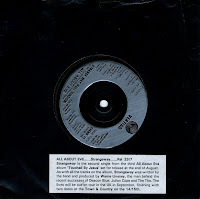 All this despite the release of a regular 7" single (pictured above), a picture disc 7" (pictured below), a 10" single, a 12" single, a cd-single and a limited edition picture cd-single. With so many formats, it's no wonder the chart rules were changed some years later, limiting the amount of formats eligible to count towards sales to three. When All about Eve released the single 'Road to your soul', some record company executives must have thought that the song was too long for the radio. At more than 5 minutes, there may well have been some reluctance by DJ's to play the song. And so they got to work: a DJ promo with the song was made, including an exclusive 'radio edit'. If it were me, I would have made a different edit of the song. 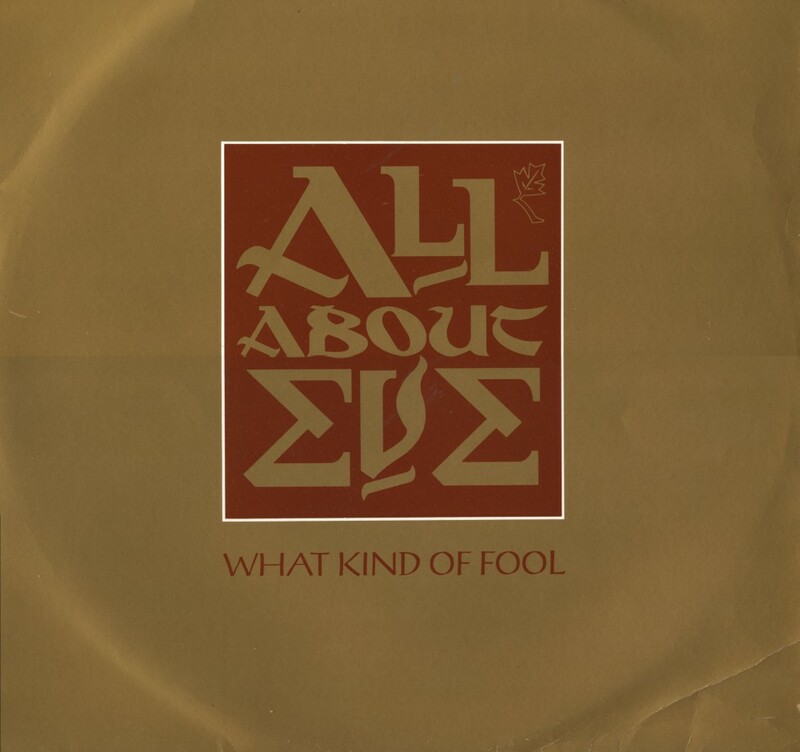 The radio edit featured on the A-side of this promotional single still clocks in at over four minutes, making it still a lengthy track. 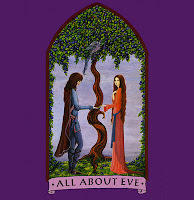 All about Eve had a troubled time while recording their second album. 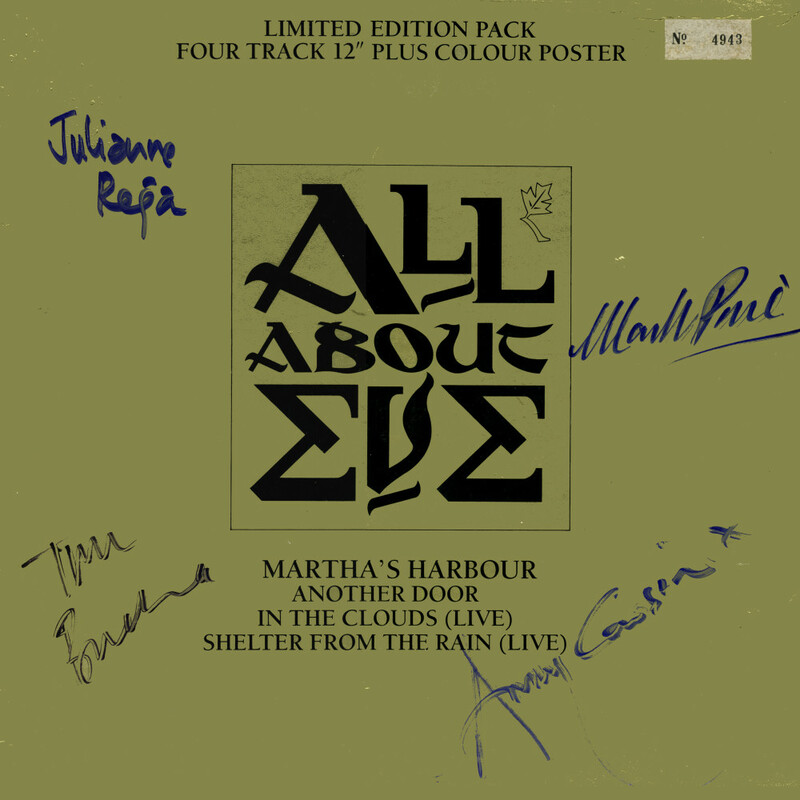 Having just found success with 'Martha's harbour', they were suffering from internal conflicts and uncertainty about their new direction. 'Scarlet and other stories' became a flawed masterpiece as a result. 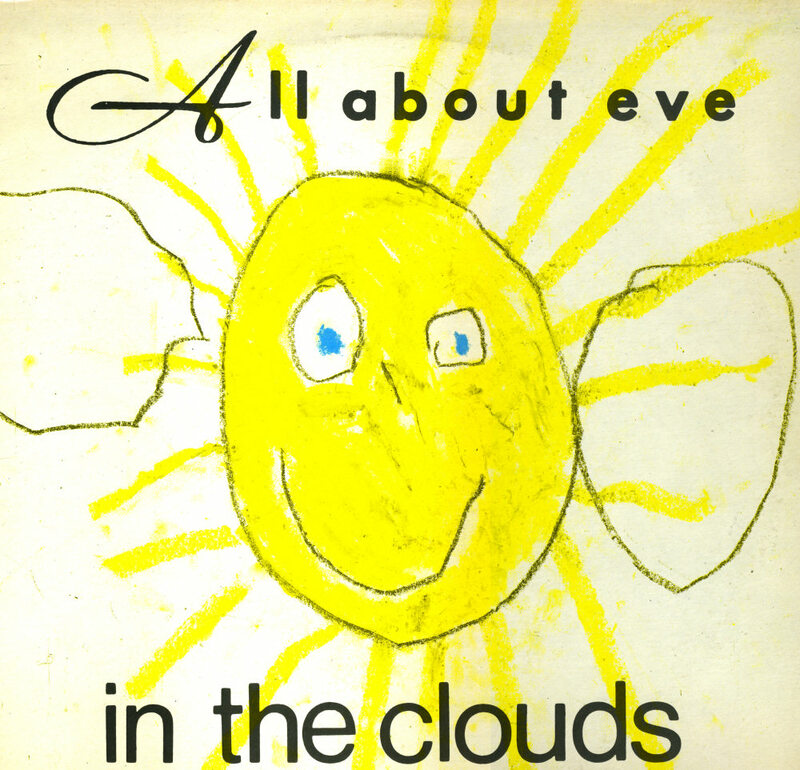 Not that I knew anything about this: I picked up the brand new single by All about Eve while on holiday in London in October 1989. 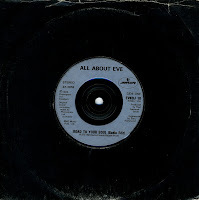 'Road to your soul' was the single that turned me into an All about Eve fan almost overnight. I heard it upon return home and was immediately hooked. The UK audience had more trouble with it, apparently: the single peaked at number 37 and did not become the number one hit it should have been.